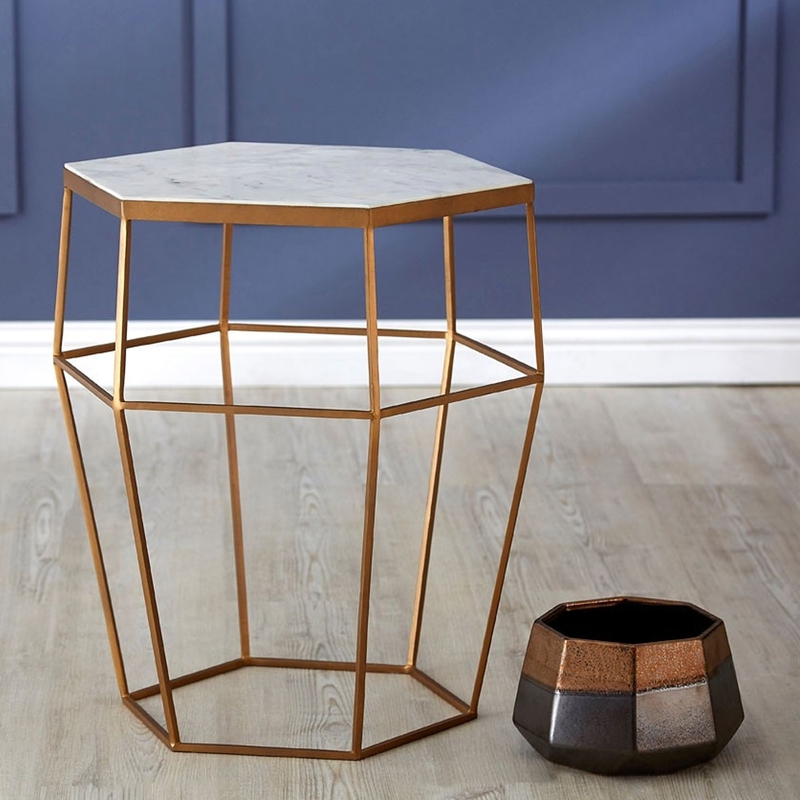 We are very proud to introduce this beautiful Shalimar Hexagonal Side Table. It has a fantastically unique design which looks inspired by an art-deco style. As well as looking fantastic, this side table has a large surface on top making it a stylish storage solution. This side table is created out of a very elegant mix of Iron and Marble.